Add Pinnacle Detailer's Tool Bag? Natural carnauba wax gives Crystal Mist Carnauba Detail Spray its distinctive, wet-looking shine. Carnauba, combined with crystalline polymers, creates sharp reflections and silky paint. This state-of-the-art carnauba-polymer matrix also enables Crystal Mist to bond to the existing wax for an instant but long-lasting gloss. On top of Souverän™ Paste Wax, Crystal Mist reactivates the existing wax so you’re not just seeing a surface gloss – you’re seeing the depth and dimension of multiple layers of carnauba. 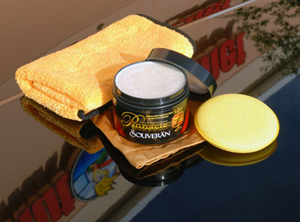 The foam wax applicator can apply any wax evenly without creating any swirl marks. Its absorbent in order to catch drips or runs, and it applies a perfect, even coat of paste waxes and polishes. 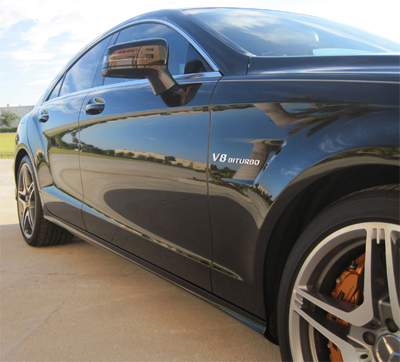 To use Pinnacle Ultra Poly Clay: After washing and drying your vehicle, mist a 2’ section of paint with the lubricant. Gently rub the clay bar back and forth across the wet area. It will grab at first; this is the bar pulling out contaminants. When the bar glides smoothly, your paint is clean. Move on to the next area. Reform your clay and use a clean portion on each section of paint so as to avoid recontamination. You may also use the Pinnacle Clay Lubricant to clean any residue left by the clay bar. A total retail value of $234.89. Save $64.90!